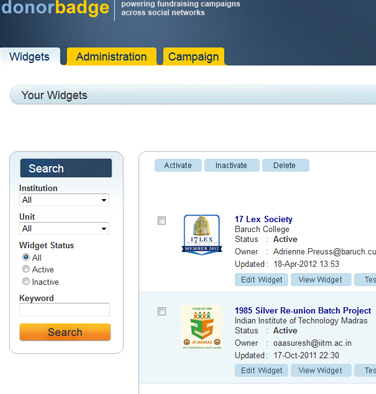 The use of social networks is expanding rapidly, but universities are still trying to figure out how they can connect with an extended network of the donors/alumni who are beyond the reach of the traditional outreach approaches such as direct mails, emails and phone calls. Institutions have realized that, maintaining profile/fan page on social network websites requires significant resources and does not yield the desired results for annual giving. This should therefore be complemented with an approach which keeps the alumni connected, inspired and motivated to give to the university where need be. 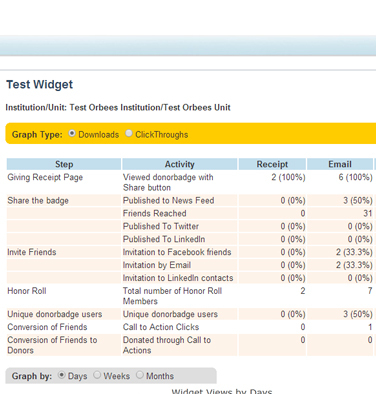 Orbees took an innovative approach by enabling the donors to create a word of mouth campaign just when they have made a significant contribution to the university. 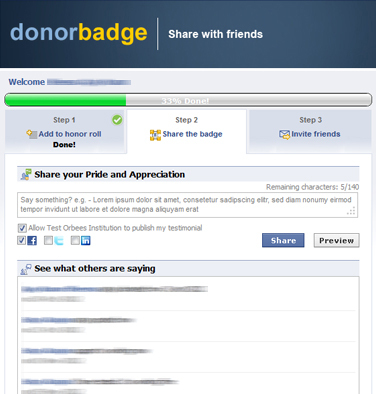 donorbadge is offered as a SaaS application. 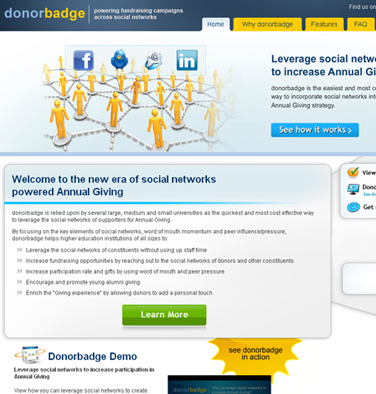 Please visit www.donorbadge.com for more information of our donorbadge product.